This handcrafted necklace featured my .999 silver "the journey is the reward" pendant , measuring approx 1/2" x 1 3/8" long at widest points). 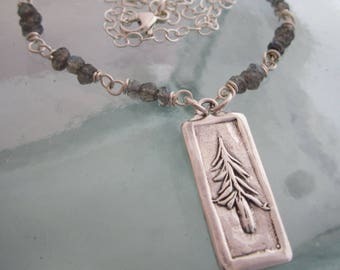 The pendant is wire wrapped with sterling wire to form the bale and hangs approx 1 3/4" from the top of the bale to the bottom of the pendant. Included on the necklace are one coral and one turquoise, each wrapped with gold-filled wire for a little extra interest. The coral, turquoise and pendant hang freely and independently on the 18" sterling cable chain which hooks with a small lobster clasp. If you would prefer different colored stones or a different style or length of chain, please contact me to discuss your options. 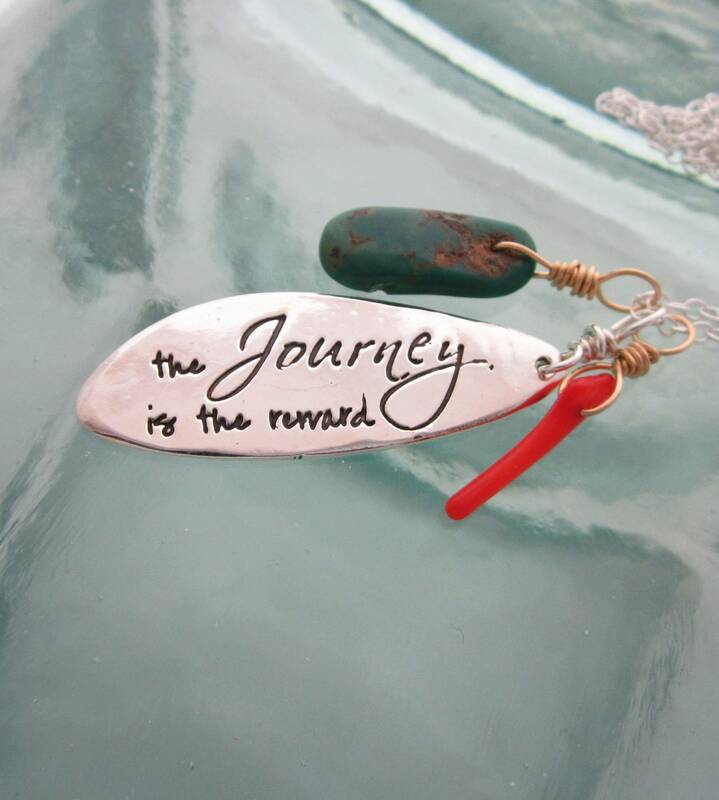 This is a great gift for a graduate, a traveler, or anyone embarking on life's everyday journey.